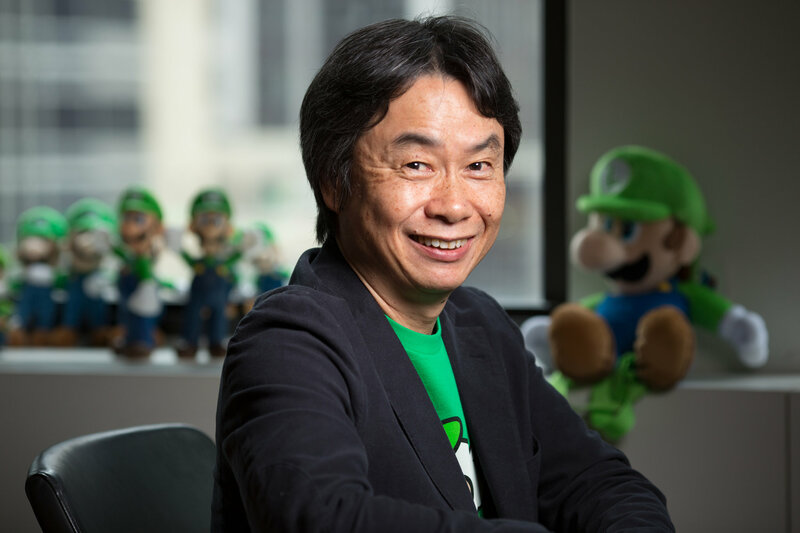 While you're going about your video game business today, playing mobile or handheld games as we know you do here at Modojo, take a moment to say happy birthday to Nintendo's own Shigeru Miyamoto, one of the greatest Japanese video game designers and producers of all time. For the uninitiated, Miyamoto has been working at Nintendo since 1977, and his creations have appeared on every single Nintendo console since his tenure at the company began. Miyamoto was instrumental in creating beloved franchises like Mario, The Legend of Zelda, Star Fox, Donkey Kong, Pikmin, F-Zero, and more. He's had his hand in so many Nintendo properties that it's almost dizzying to think one man has created so much in his lifetime. Following Nintendo president Satoru Iwata's death in July 2015, Miyamoto took over as acting Representative Director along with Genyo Takeda until he was appointed Creative Fellow in September 2015. Previously, he managed the Entertainment Analysis & Development division. Miyamoto has been hard at work on the upcoming iOS title Super Mario Run, the first "proper" Nintendo title for the platform beyond Miitomo. Super Mario Run is releasing proper on December 15th for iPhone, iPad and iPod Touch, and Miyamoto has seemed exceedingly excited to show it off at every turn. If you enjoy a Nintendo title today, think of Miyamoto-san and send some positive thoughts his way. He's worked hard for us to bring us games that he thought we would all genuinely enjoy.